On 17th July 2014, Scholl Malaysia launched a new product - Scholl Velvet Smooth Express Pedi electronic foot file. 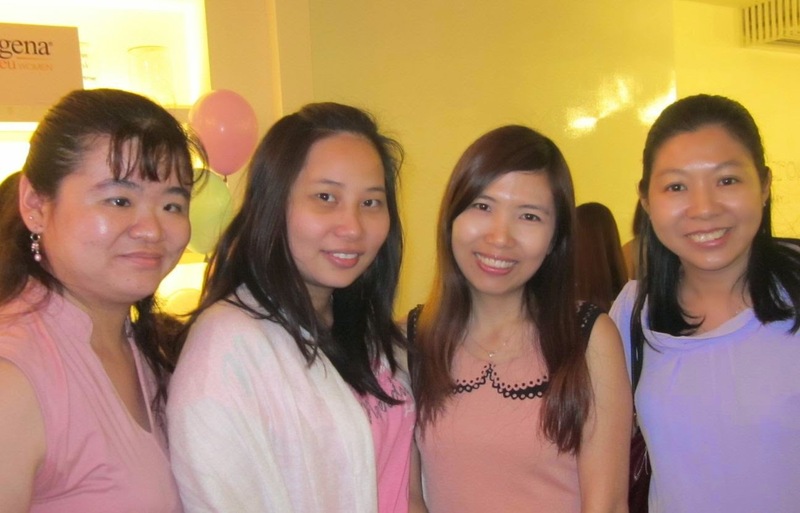 The event was held at the Gardens hotel and Residences, KL. I won the Facebook contest and was invited to try it out. 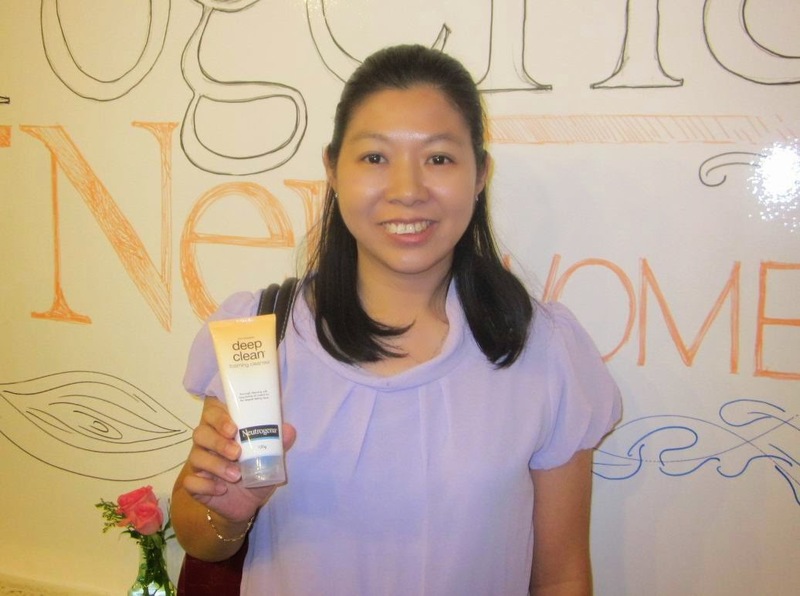 I met many bloggers who were also invited to try this too. The Scholl velvet smooth express pedi electronic foot file has a roller head which is washable and replaceable. It uses batteries and it is fast and effective. It buffs away hard skin easily for smooth feet. After the session, all my rough skin on my feet were gone and my soles of my feet were really smooth. It took about 10 minutes only. I also had the option to color my nails. Later we were invited for dinner. Everyone present also received the Scholl Velvet Smooth Express Pedi to use at home. Thanks Scholl Malaysia for the great experience and for my smooth feet. 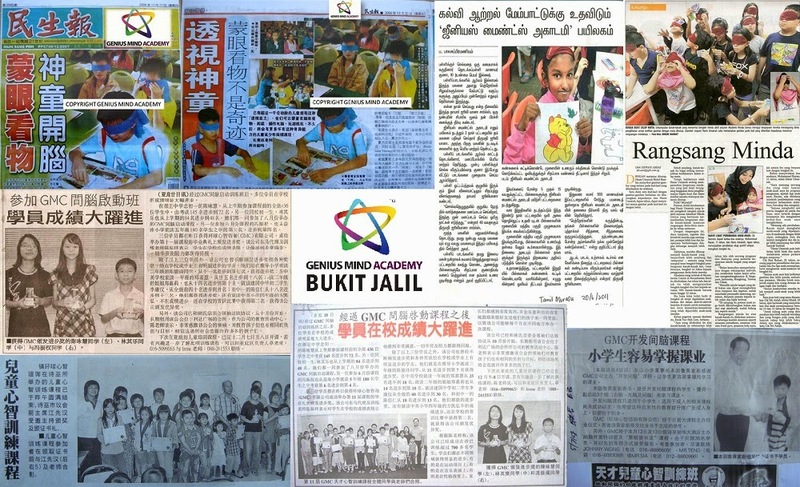 On 6th July 2014, I brought my daughter to Genius Mind Academy at Bukit Jalil. Here I learnt the benefits of Mid-Brain Activation. The Mid-Brain is a small region of the brain that serves as a relay center for visual, auditory, and motor system information. It acts as a bridge between the left and right brain. The activation of Mid-Brain will result in better communication between the left & right brain to achieve a balanced use of the whole brain. Do you know that most people only use 5% of their brain? This sound wave technology is proprietary by GMA, and has been administered to more than 100,000 students over the past 8 years across the region including Malaysia, Singapore, Indonesia, China, Taiwan, Australia and New Zealand, etc. Children at birth and up to the age of about 6 years old, the mid-brain is active. 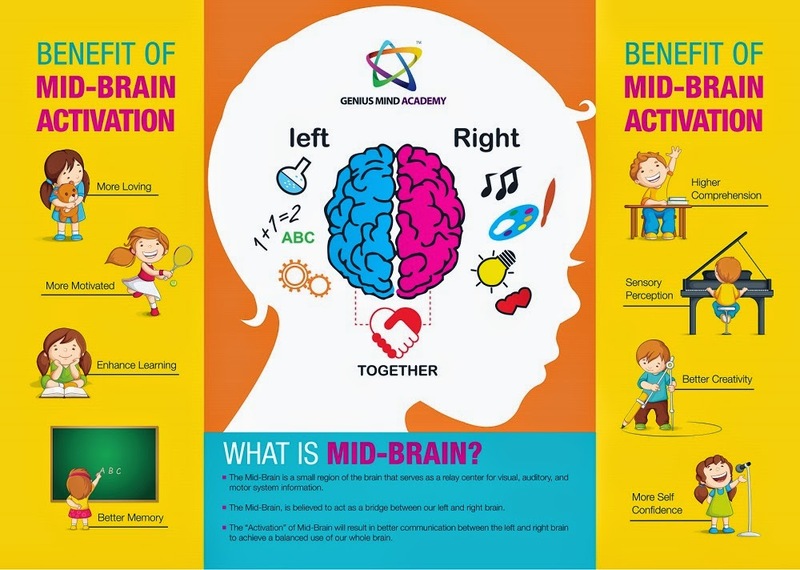 Beyond the age of 6, the mid-brain development slows down and gradually become less active. 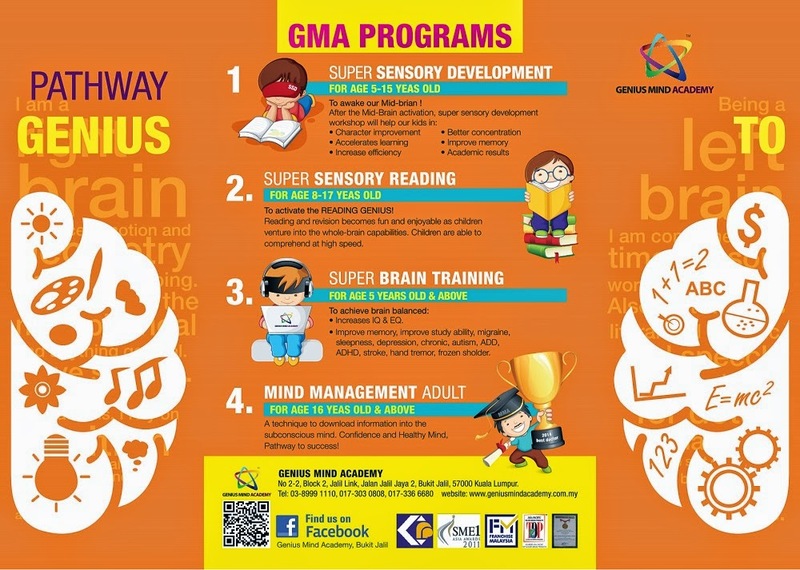 My daughter went for the Genius Mind Academy (GMA) brain wave measurement. They use a computer to measure my daughter's brain wave. Here are some photos. This is a sample of how the results look like. After listening to the explanation and seeing some slides, it is hard to believe that the students can do so many things blind folded like read a book, choose a ball and know it's color, or smell a card and know it's color and number. Amazing, right? These students did a demo that day. 1) Super Sensory Development (for age 5-15 years old). This is to awake / activate the mid-brain to help kids to accelerate learning, increase efficiency, improve character, improve memory and concentration. 2) Super Sensory Reading (for age 8-17 years old). This is to let children learn to comprehend reading at high speed. 3) Super Brain Training (for age 5 years old and above). This is to increase IQ and EQ, improve memory, improve study ability, migraine, depression, autism, stroke, hand tremor, ADD and ADHD. 4) Mind Management Adult (for age 16 years old and above). This is a technique to download information into the subconscious mind. With a healthy mind, one can achieve success. This photo above shows all the awards to GMA. Here are some newspaper articles about this.